Piwania Technologies offers affordable and professional property website designs which are customized to your unique style. Starting a Real Estate Agent Website is easy with our unique property website design services. Piwania Technologies provides customized property listings online that worked with our advanced original designs, stable solutions to build-up customer satisfaction. This is an added advantage for Real Estate industry to boost up their business in the global market. Our Design team is made up of property web design consultants that can help you at every step of your way. Our unique consulting approach, organization, talent, and extensive experience in the field of property web design make us at par with our competitor. If you want to stand out from the crowd our property websites will certainly give you an edge to be the one which are most recognized. We give you dynamic tools that ensure flexibility and pave your way of success. Our series of real estate agent websites are a perfect solution for any real estate agent who is looking for a powerful website to take advantage of online marketing, and list homes online. We stand out in designing compelling and user friendly web sites. We make all the web pages fully search engine optimized and we assure you that our web sites, will help your business grow to gigantic heights and we will assist you all along the way to your success. 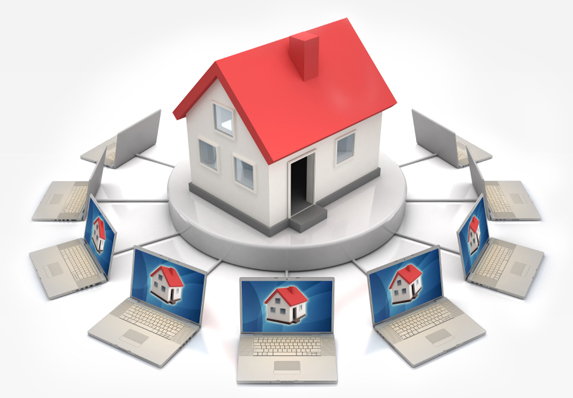 We have skilled consultants of property website or property web portal development who helps in refining your idea. Do you know your targeted audience? If not then our consultant helps you. This is huge part of any property project either its single property website or a property portal and you must have clear before development as it also helps in discussing design. Your property website must be entirely customized only for you. Some companies don’t put too much effort in creating customized designs and gives already built-in templates. But if you are really looking for a unique customized property website then don’t fall under those roofs. We develop unique designs especially for our clients and after getting proper revisions we design a layout and after your confirmation we move to next phase of development. Search Engine optimization (SEO) plays major role in success of any website especially property websites. You can also earn lots of money via google adsense or property ads by property website. You must choose a company which offers SEO as well it puts you under one roof. 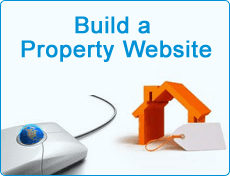 As we are having SEO experts so we develop search engine friendly property websites. Property features and description like area, how old property is, ownership, furnished, no. of rooms, bathrooms, no. of floors etc. Property detail page and enquiry form. Search for property based on physical location, property type, price range, area, lease or rent etc. Powerful admin tools like Members approval, disapproval, property management and banner ads management etc. If you have any question regarding property website please refer to our frequently asked questions list. If you still have any questions feel free to contact us. How long does it take to develop customized single property website? Single property website means a website in which all details regarding a single property exist like its infrastructure, map, location, pricing etc. Most single property website development takes 2-3 weeks, depending on the exact requirements, functionality, programming, and design. How long does it take to develop customized multiple property website? Most multiple property website development takes 5-6 weeks, depending on the exact requirements, functionality, programming, and design. Project development time also come down to your communication with us on items like regular revisions and milestones updation. How much it cost me to get a property website up and running? Most single property websites projects are quoted between $500 and $1,000 and for multiple property website between $1,500 and $3,000. But for an accurate and exact quote you will need to communicate with our expertise consultant. Its cost could be less and most end up somewhere in the middle. Does Piwania Technologies offer revisions process for property websites? In each property website development project we go through a mockup process with you to create the design and collect revisions from you. After getting proper revisions we design property website layout and after getting your confirmation we move to next phase of development. We also go through a revisions phase with you once the site has been built to ensure your full satisfaction and website success in real estate industry. What about content and how will you collect content for property websites? For all property websites clients provide their own text and images for relevant properties. If you want to hire our content writing department then please discuss with our property website consultant. For all dynamic websites we provide content management system so you can also add text and images yourself or can update later. How I will contact you if there is any query, issue or problem with my property website? You can always contact us. Piwania technologies Pvt. Ltd. is here to help and solve each problem before, during, and after property website development. We always build up long time relations with our esteemed clients. If I need something changed after completion of my property or real estate website what should I do? Does Piwania Technologies Pvt. Ltd. offer hosting options for my property website? We offer all of our esteemed clients hosting whether they belong to any domain. We recommend that our clients hosted with us as it puts everything under one roof and much helpful if client also choose our Search engine optimization package. We have various hosting packages which can be further discussed with your website development consultant to find out best package which suits your property or real estate website needs. Does Piwania Technologies Pvt. Ltd. offer domain registration options for my property website? Yes, we are one of the reckoned domain resellers and thousands of domains been booked under our shed. How will my property website design look like? It can be anything that you want it to! We are having skilled web designer who are capable of doing anything that you would like with your property website. We go through a mockup process and design a layout and after getting your confirmation and satisfaction we move to next phase of development. You can also refer to our property website portfolio. Our experts also give various ideas and thousands website examples which help in getting perfect design. If you are having any website example then you can also let us know. Does Piwania Technologies Pvt. Ltd. offer search engine optimization (SEO) options for my property website? We offer all of our esteemed clients search engine optimization whether they belong to any domain. We recommend that our clients must choose our Search engine optimization package as it puts under one roof and get rid of any hassle. We have various search engine optimization packages which can be further discussed with your property website development consultant to find out best package which suits your property website needs.